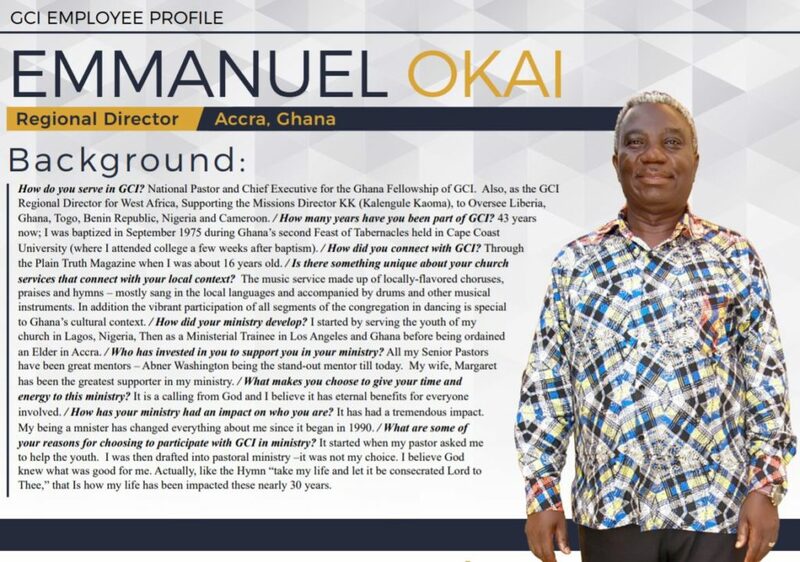 Click on the image below to meet GCI employee Emmanuel Okai who serves as the Regional Director of GCI-Ghana. 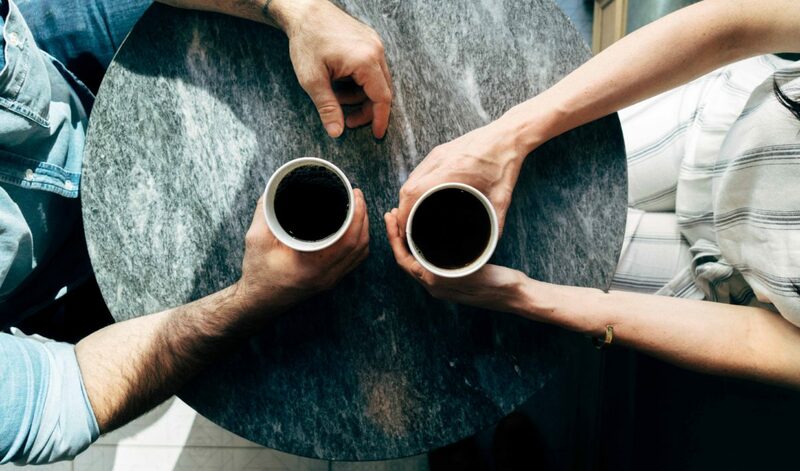 It is a pleasure to „meet you“. I always find it fascinating getting to know more intimately my many brothers and sisters around the world. Although our journeys may greatly differ the destination, Jesus Christ, is the same. Just shows the amazing creativity of our Lord! Emmanuel, how good to read of your continuing journey in the Lord! We were both (and many others) blessed to start our ministerial training with Mr Abner Washington. Keep well and the Lord continue to bless you and your family!